Why Stop at Aspen, or Barnwood, or Cedar? Yet another addition to our vast lines of rustic log furniture made right here in our Michigan factory. 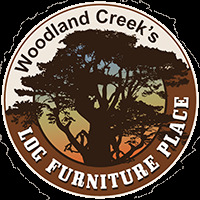 When it comes to rustic lodge decor, we at Woodland Creek's, like to give you as many options as possible. 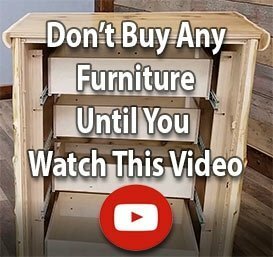 And we did just that with our Hickory collection. Whether you prefer straight up hickory, or a touch of walnut and hickory combined, we've got your needs covered. Our hickory line is no exception. Each piece is handcrafted made from solid hickory logs, complete with hickory log edging, that gives this line an extra rustic appeal. The solid mortise and tenon construction ensures that our log furniture will last for many years to come. You'll enjoy the dark log edging that will accentuate the beauty and shine of every hickory slab top or drawer front. But don't take our word for it...Why not check them out yourself?